On June 24, 2017, a Grand Opening was held for the Nelson Community Solar Garden. The Community Solar Garden (CSG) is a one-of-a-kind solar array that is comprised of individual solar panels that have been grouped together and maintained in a single location, compared to other systems that install panels on individual roof tops. This central location provides unprecedented access to those who may rent, have shading issues or unsuitable roofs. In addition, owners of the panels do not have to worry about the maintenance or how their panel is performing as it is part of a collective and not individually owned. Nelson Hydro invited its customers to invest in the Community Solar Garden and has had an overwhelming response. In one month, the project was sold out and had to be expanded by 20%. All of the 240 available solar panels were sold. The CSG is a win-win for Nelson Hydro customers as it provides simplified access to solar power while providing a credit in proportion to their investment, which can be found on their Nelson Hydro electricity bill. The credit can be transferred from one account to another, so that the investment stays with the residents even when they move to a new local address serviced by Nelson Hydro. 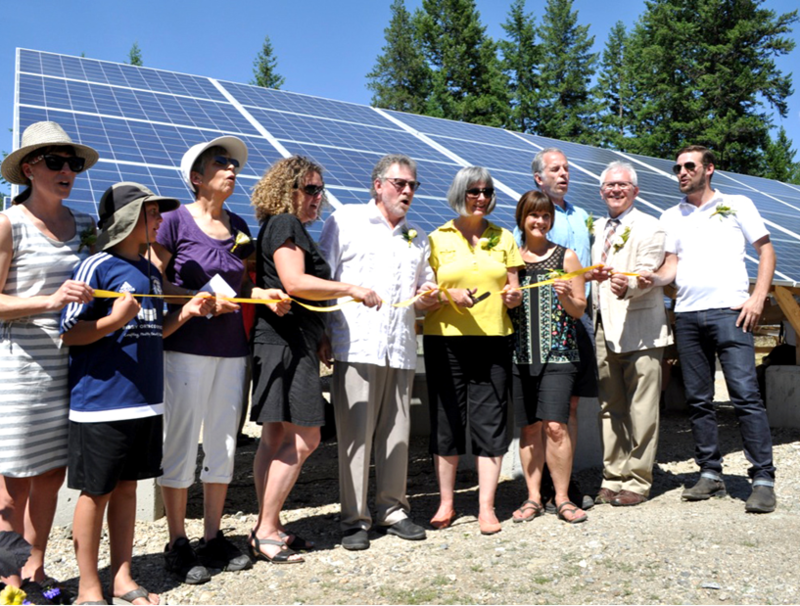 While there are other shared solar projects in Canada, Nelson is the first to offer this type of model. We see this as an opportunity that can be replicated across the country, giving more Canadians access to renewable energy. This CSG was funded by Nelson Hydro, Bullfrog Power, CELP (Province of BC) and the Nelson Hydro customers that directly invested in the project.